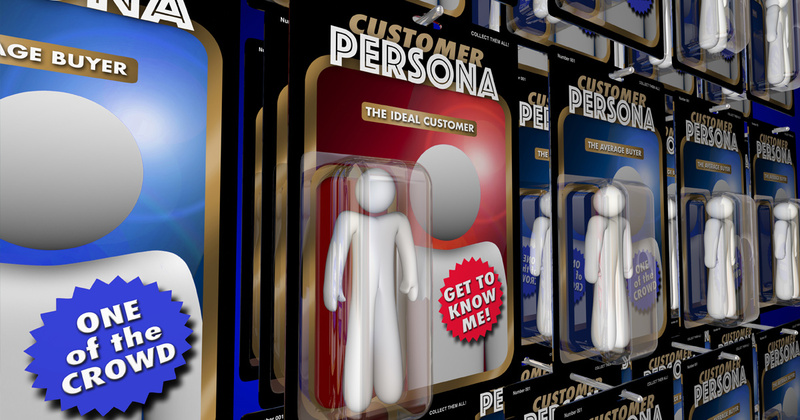 In other words, model personas on your current customers. Think about their business goals, what drives their buying decisions, how they found their way to your company. Consider their spending patterns and influences, the problems and obstacles they encountered with your products or service and what information they needed to decide to buy/not buy. Take note of their mind-sets and expectations, and what type of buyers they are (bargain hunters, average spenders, spendthrifts? Emotional or logical?) and what strategies you can adopt to appeal to each type. Face it: To do the process right, it takes time and effort. Start with talking to existing customers one on one to discover the challenges, motivations, and pain points of real people—and not just what you think they are. Listen to what customers are saying about your business on social media. Speak to your sales team to get the overall market picture and discover what types of customers they are most successful with. If customers are buying through your site, conduct web surveys to find out if they’ve ever experienced any problems with completing their purchase. Back up qualitative data (goals, attitudes, behaviors) with quantitative info to segment website customers by transactions, revenues, frequency of site use, etc. And of course, don’t forget to review all relevant customer communications. Remember that as the market changes, so do the customers. And your business operates in real time. It would be wise to constantly review market trends and refresh personas as needed. This not only boosts engagement, but also improves product-market fit, drives growth at every stage, and enhances your personalization strategy. After all, finding your actual customer requires knowing who you’re sending your message to, understanding his needs and motivations, and tailoring your message accordingly. Getting a true picture of your real customer means getting the full picture. How do your customers interact with your business? Do they use your website, or an app from their smartphone? Augment the data from these sources by comparing them with information gleaned from other databases, electronic media, and other data stores. By connecting the dots, you can acquire detailed, accurate, complete, and, importantly, timely insights. First you need to ensure your data is accurate, and that you have enough of the right data to begin with. But with mountains of customer data from internal and external sources to sift through, how do you find those individuals with the most potential for upselling? Emerging technologies like artificial intelligence (AI) can be used to make sense of the data—by using predictive scoring, for example, to know which prospects are most likely to buy, and therefore which to prioritize. Other signals like intent data can also be added into the mix, to help pinpoint prospects who have the greatest intent to buy, thereby helping your sales team find new prospects and your marketing team fine-tune and enrich lists gathered through marketing programs. This lets you move from big, unstructured data sets to “finding that guy” who really cares about what you’re offering. In the end, it’s important to mine the correct types of data to provide the insights that lead you to look-alikes of your ideal—that is, your actual—customers. Alicia McCarty is director of marketing for Leadspace, which provides data intelligence for B2B sales and marketing.